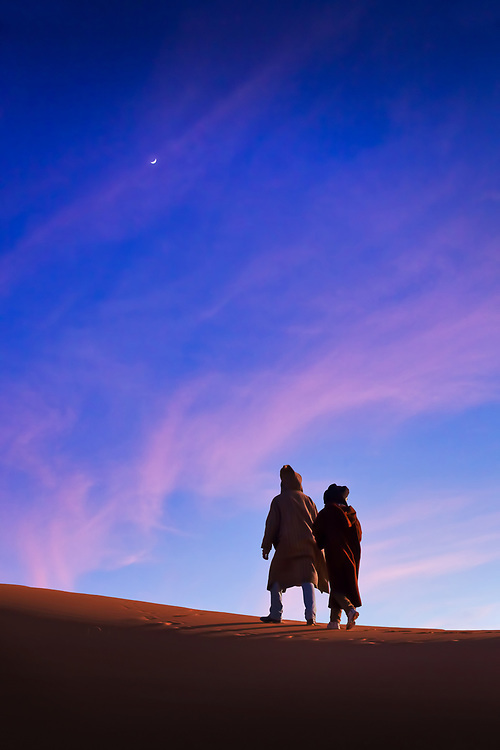 Crescent Moon and Purple Skywalkers - These were my camel guides, Mustafa and Ibrahim with the most amazing crescent moon behind them! Tatooine eat your heart out! It just wowed me when I took it that the crescent is the symbol on top of all the mosques in Morocco and here I have a matching moon!! - Erg Chebbi Sand Dunes, Morocco.